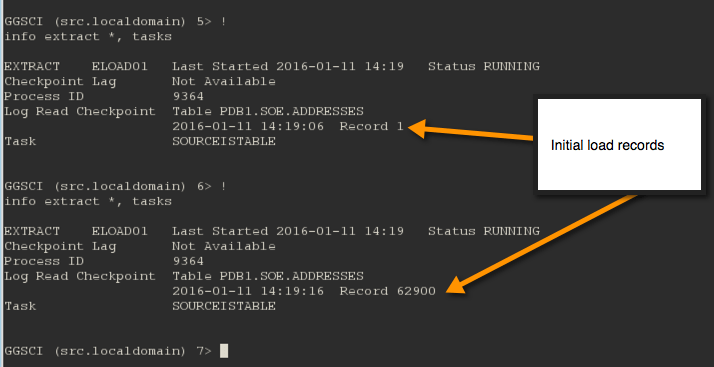 Over the last few days, I’ve been checking out the Initial Load process in Oracle GoldenGate 12.2. While it seems straight forward, I kept running into an Access denied error. 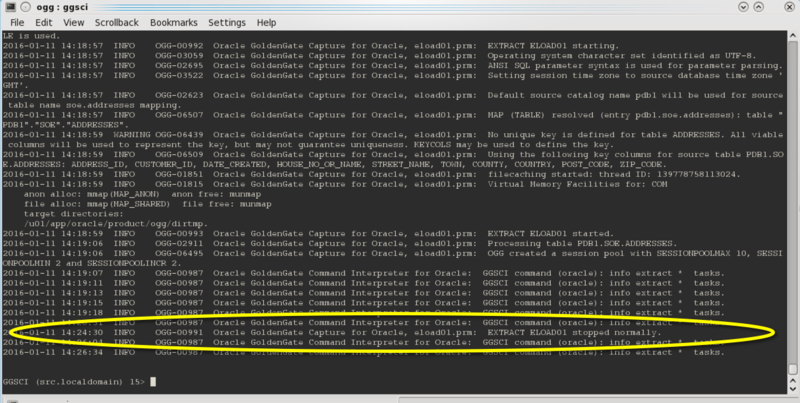 To be more specific the ggserr.log says: ERROR OGG-01201 Oracle GoldenGate Capture for Oracle, eload01.prm: Error reported by MGR : Access denied. How do we fix this? 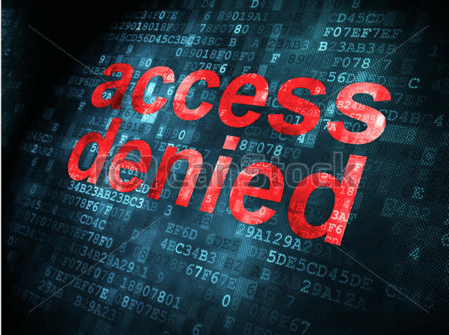 After validating that all the login information to the source and target databases was correct, what was left? 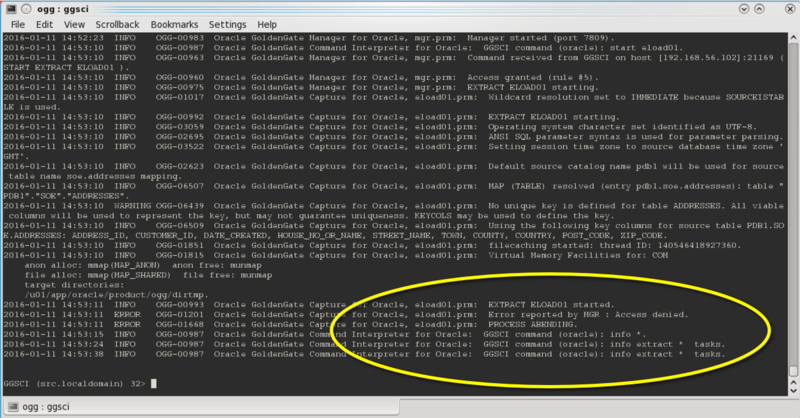 What I discovered is in Oracle GoldenGate 12.2, the default behavior is the MANAGER and related EXTRACT/REPLICAT cannot be started or stopped remotely. Since the Direct Initial Load is initiated on the source server and attempts to start the REPLICAT on the target server, this falls into that category. The fix is to add “ACCESSRULE, PROG *, IPADDR *, ALLOW” to your manager parameter file (mgr.prm) on the target system. I did this in a test system, and I have used wildcards in the accessrule. I suggest that you consult the GoldenGate documentation to ensure you maintain appropriate security measures for your environment. The remainder of the post covers additional details on the”ACCESSRULE, PROG *, IPADDR *, ALLOW” parameter from security perspective and what my original parameter file look like. I’m guessing the requirement to add this to remote manager parameter file is a new ‘feature’ for OGG 12.2? Yep. It’s a “security’ feature.